LAS VEGAS -- Excitement about future consumer technology is building up in Las Vegas, as the world’s most innovative tech giants and startups arrived here on Monday, a day before the opening of the Consumer Electronics Show 2019. 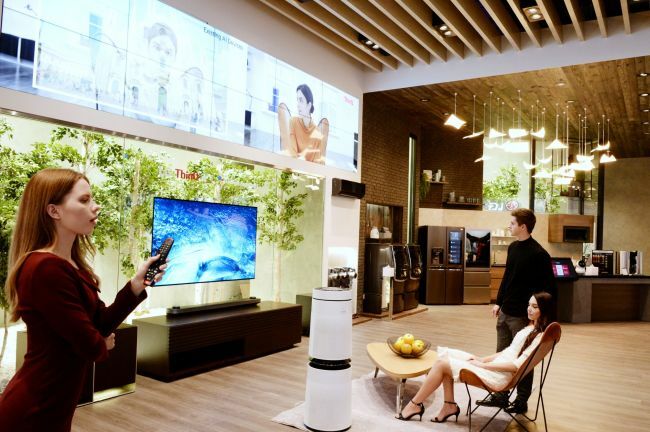 In the quest to realize smart homes, companies are about to unveil their newest artificial intelligence technologies that are expected to make consumer life “even better” with improved connectivity tapping into the upcoming fifth-generation network. After achieving their initial target of making appliances that recognize human voices for the past few years, companies will be showcasing AI that does not just recognize voices but understands users’ daily life patterns, helped by an increased number of connected devices at home, in vehicles and elsewhere. Samsung Electronics, for the first time, is unveiling its voice-controlled speaker Galaxy Home to the public, equipped with the New Bixby edition -- upgraded in terms of natural language recognition and in the capability of understanding more complex voice commands -- along with the 2019 version Family Hub refrigerator and Digital Cockpit car infotainment system. Centering on the New Bixby, Samsung is pursuing a lifestyle with “seamless” connectivity. Samsung’s Galaxy Home -- rival to Google Home, Amazon Eco and Apple HomePod -- can operate a multiple number of home appliances with a single voice command to provide richer experiences at once, according to the company. When a user asks the speaker for a guide on meditation, Galaxy Home not only provides verbal instructions from the speaker but also turns on the TV to show a video of meditating postures. The home lighting and temperature are also adjusted accordingly. Connectivity among Galaxy Home, Family Hub and Digital Cockpit has been enhanced significantly with the aim of maximizing continuity of daily life experiences from place to place. Music that a user was listening to at home can be continuously played on Digital Cockpit -- the result of a collaboration between Samsung and Harman since last year -- in the car and also through earbuds. The in-vehicle system can also communicate with the Family Hub refrigerator at home, enabling the user to keep track of food ingredients. “Samsung is focusing on AI that provides services tailored to your daily life via connected devices,” a company official said. 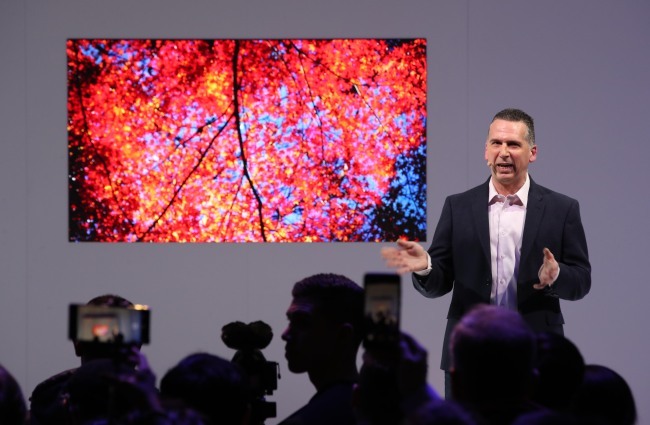 LG is also putting its AI platform ThinQ at the forefront of the Las Vegas show, touting that its AI platform is growing to provide tailored consumer services and actively manage connected devices. “LG ThinQ’s natural language recognition has improved greatly, and a ThinQ TV is able to converse with the user by memorizing the context of the previous conversation,” an LG official explained. LG’s Chief Technology Officer Park Il-pyung will deliver a keynote speech entitled “AI for an even better life” to mark the opening of CES 2019 late Monday. The company introduced an AI TV controlled by Amazon’s voice assistant Alexa for the first time, expanding its AI partnership from US portal operator Google to the e-commerce giant.